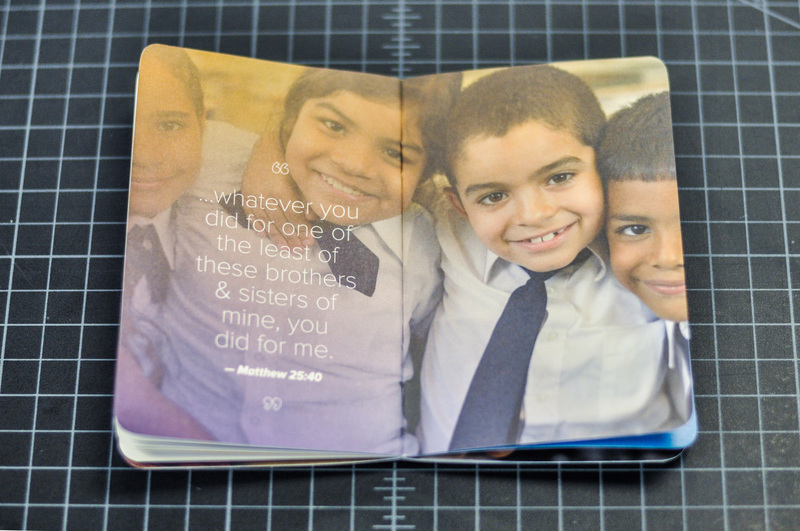 The blessings book was the central piece of an interactive campaign to encourage employees to participate in a donation drive that benefits the local community. We Are Blessed was a campaign created to raise awareness for a week-long fundraising campaign benefiting Heart of Florida United Way. 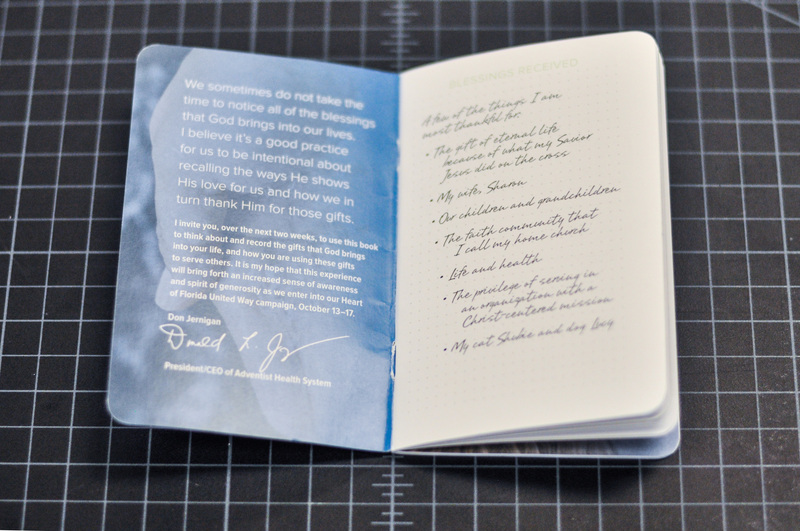 The central element of the campaign was a pocket notebook affectionately referred to as the Blessings Book. 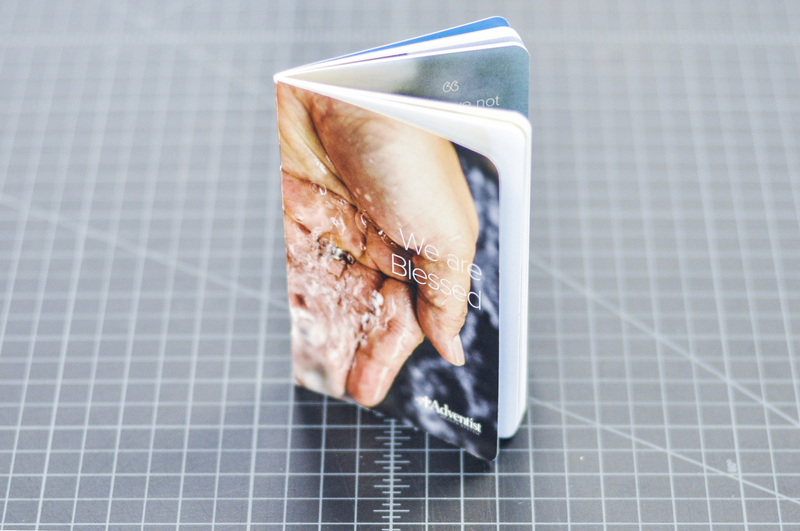 The blessings book was a pocket-sized notebook distributed to all employees on the Adventist Health System headquarter campus on the first day of the fundraising campaign. 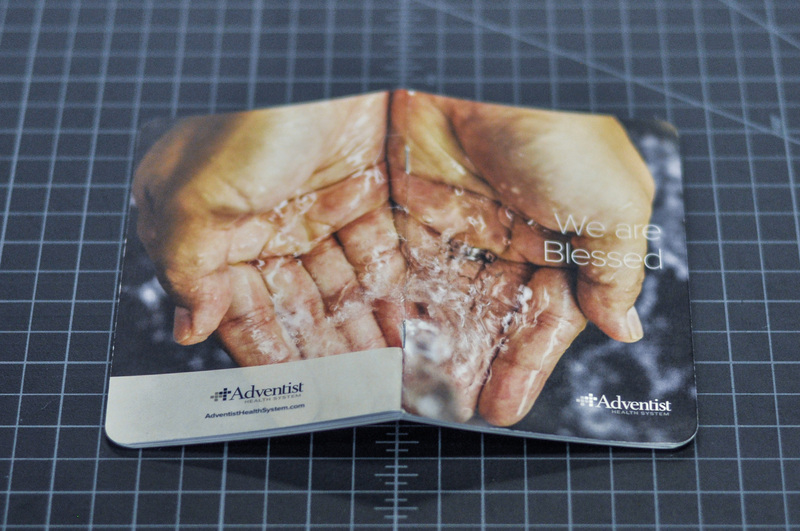 The theme of water is a key element of the Adventist Health System headquarter campus. It evokes healing, blessings and transparency. 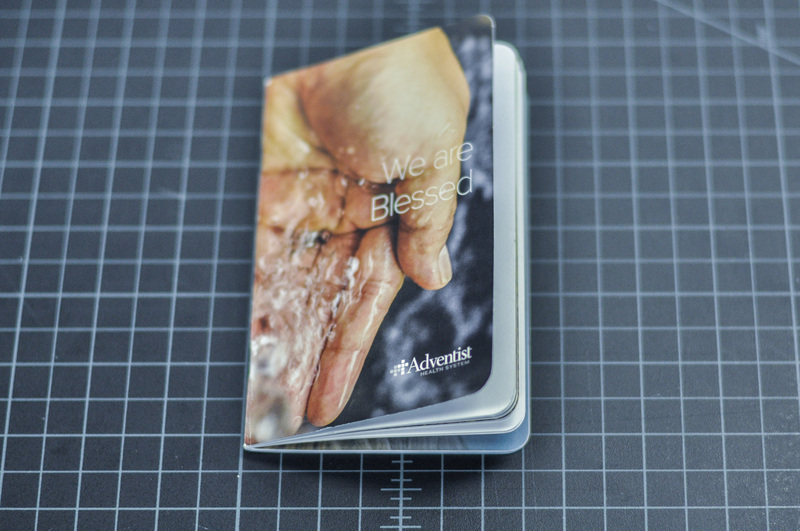 The key image in the We Are Blessed campaign uses water as a central theme. 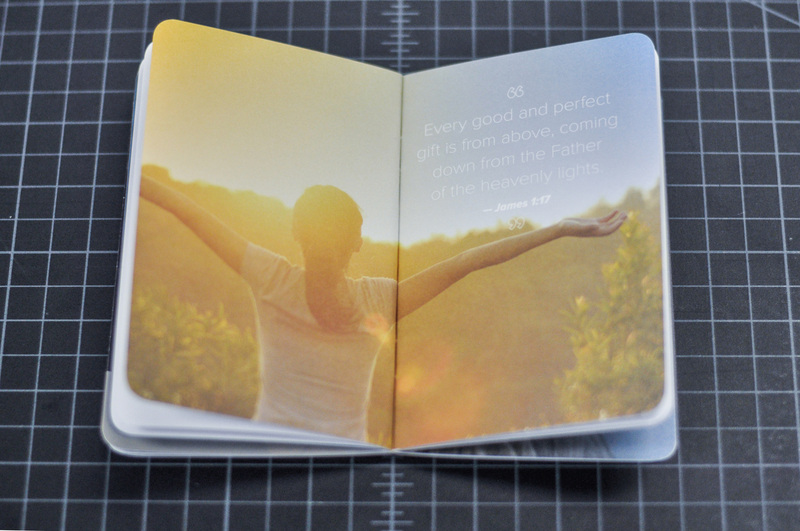 The book prompts employees to use the book to register the flow of blessings in and out of their lives. 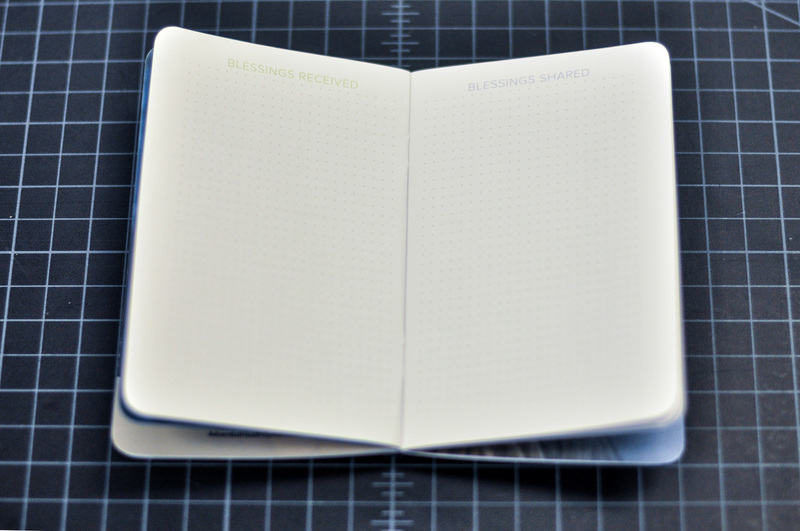 The blank pages have a "Blessings received" and a "Blessings shared" header above a subtle dot grid. My role was to bring a compelling and interactive experience to the provided theme of "We Are Blessed". 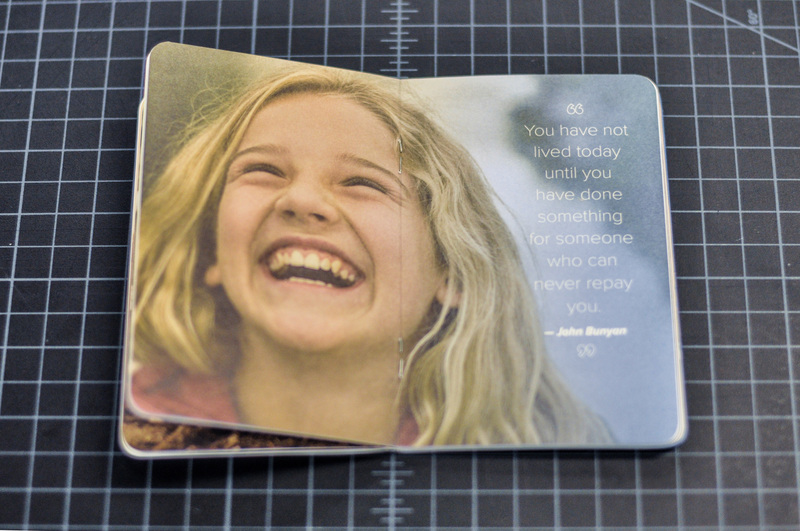 I suggested that we create a notebook that could work equally as propaganda and as a useful everyday tool for all employees. 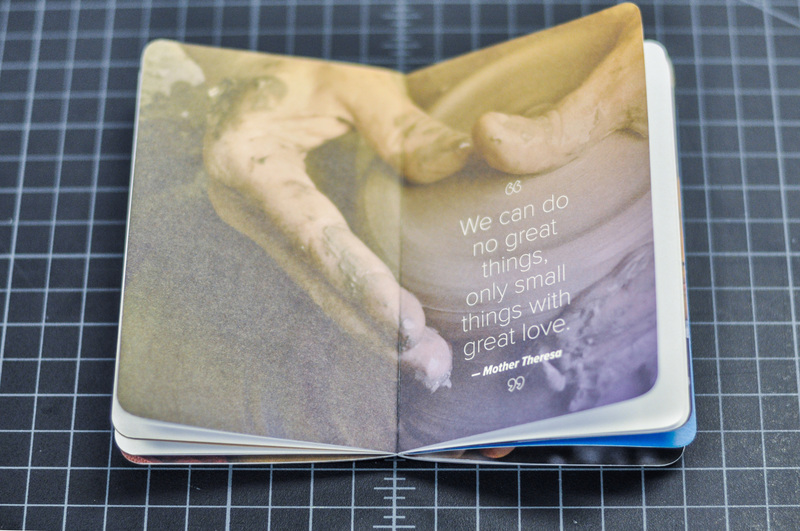 From that concept my team curated a collection of quotes about blessings and generosity, and I created a notebook channeling Moleskine and Action Method's Dot Grid notebooks and Aaron Draplin's Field Notes. 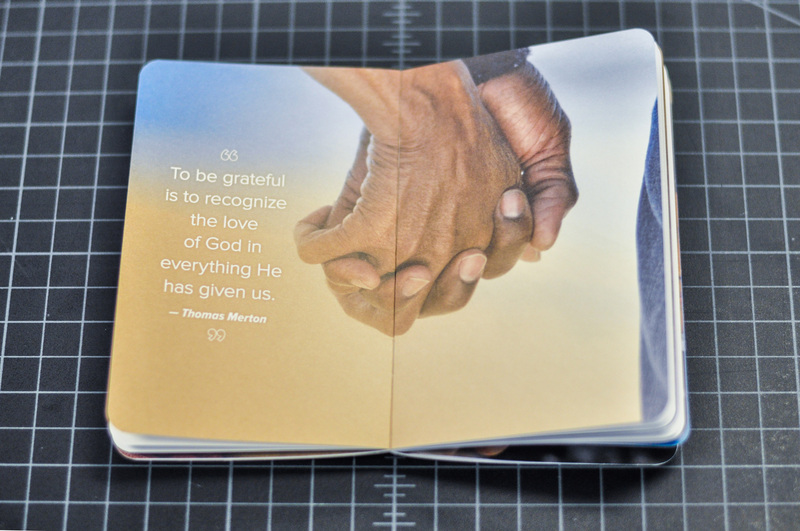 The blank pages are punctuated with full-spread imagery and quotes about generosity and blessings. 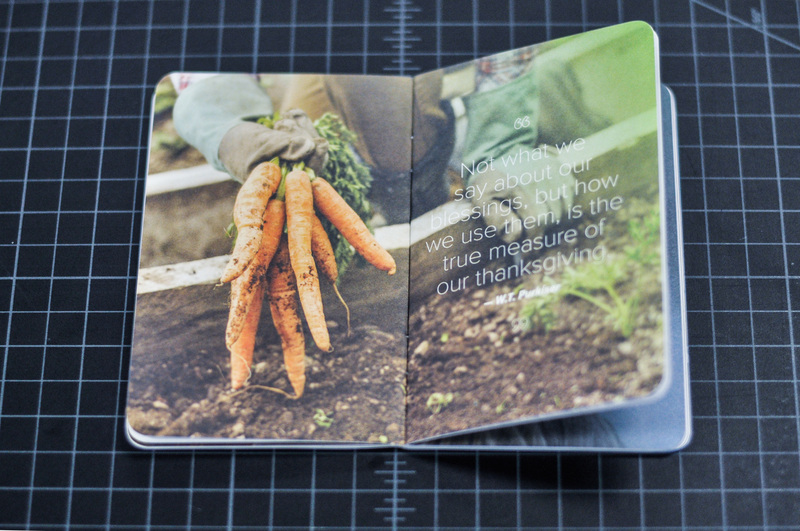 The imagery and quotes used in this book were converted for use on our Facebook page, around campus on our digital information screens, and in large format printed posters. 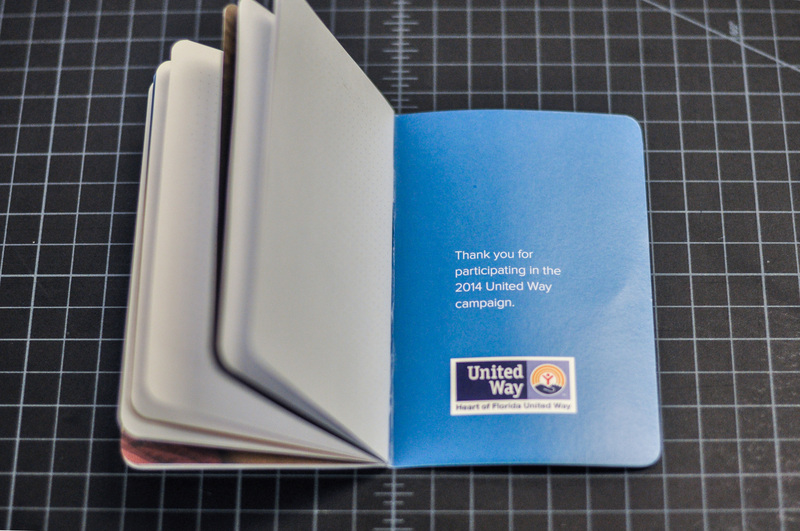 "Thank you for participating in the 2014 United Way campaign"